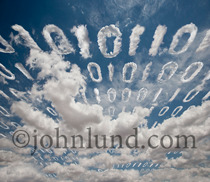 Cloud computing is illustrated with this wide ranging collection of stock images. Cloud computing is a colloquialism referring to different types of computing tasks that involve a large number of computers that are connected via a real-time communication network such as the Internet. Originally referring to distributed computing over a network and the ability to run programs over numerous connected computers at once, the term has since become popularized to include a wide variety of products and services such as hosting services that run applications from remote locations to online databases to streaming data and archival storage. 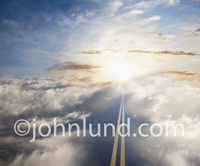 Creating cloud computing photography, that is imagery that can be used to advertise, editorialize about, and promote cloud computing is a challenge. Conceptual pictures that communicate the idea of distributed computing, online archiving, and remote application services quickly, and in a compelling fashion, requires imagination and a high level of execution. 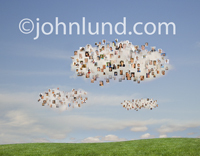 Photographers frequently turn to cloud images as an icon for cloud computing. Clouds are great, and combine with the right headline and body copy, can be quite effective. But adding another unexpected twist can take these metaphorical images to the next level. 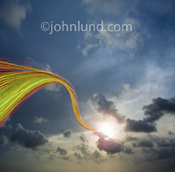 In our work we use Photoshop to take our cloud images beyond the ordinary. 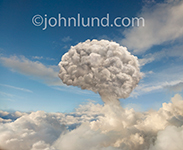 With one image we formed the shape of a human brain out of clouds. In another we used clouds to create a “Star Wars” style of overhead binary numbers, ones and zeroes, to indicate wireless and cloud computing. 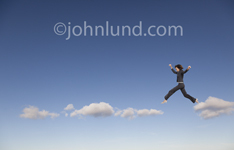 A woman leaping from cloud to cloud, we have it. 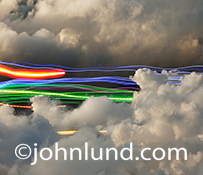 Streaming lines of colored lights illustrating a wireless information highway through “the cloud”, we have that too. 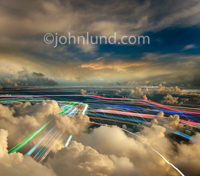 Many of our cloud computing photos start with high altitude cloud scapes. In some cases the dramatic beauty of a high altitude sunrise or sunset can alone be impressive enough to do the job. But we seldom stop there adding in those colored light streaks, models (all model released) and in one case a paved road rising up to disappear into the clouds. The growth in cloud computing is a natural outcome of greater bandwidth, increased computing power and the increasing sophistication of consumers. Benefits can accrue from increased security, maintenance advantages of centralized resources, and continual seamless upgrades. 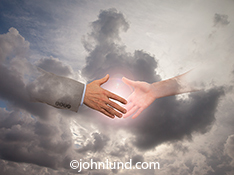 Cloud computing, wireless communications and technology are deeply intertwined. 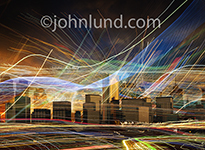 Ideally an image that is a metaphor for cloud computing can also be an illustration of wireless communications and show the concept of communications technology. 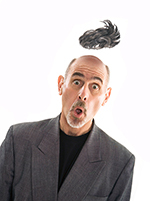 An image that can marry those and other ideas, be read quickly even at small thumbnail sizes, and be cropped in vertical, square and horizontal formats while providing amply copy space, can potentially be a best selling image or even go viral providing additional visibility benefits. Whether the end user is an art director, a corporate communications director, or a designer, our aim is to provide cloud-computing imagery that inspires viewers to read the headlines and copy. Our end goal is to provide the best possible visual communications resources to end-users.